In California in 2004, AB 2943 was introduced by the California Assembly and passed, going into effect in 2006. Considered a precautionary measure, it prohibited injections to children under three and pregnant women with vaccines containing 0.5 micrograms of mercury per 0.5 milliliter of vaccine dose in multiple vaccine packages such as the MMR and DTaP three in one vaccines. The California Immunization Coalition (CIC), a quasi-public agency, sent a letter to the Secretary of the California Health and Human Services requesting the exemption be exercised for this flu season because there is a shortage of flu vaccines, especially the nasal mist vaccine Fluzone, manufactured by Sanofi Pasteur. 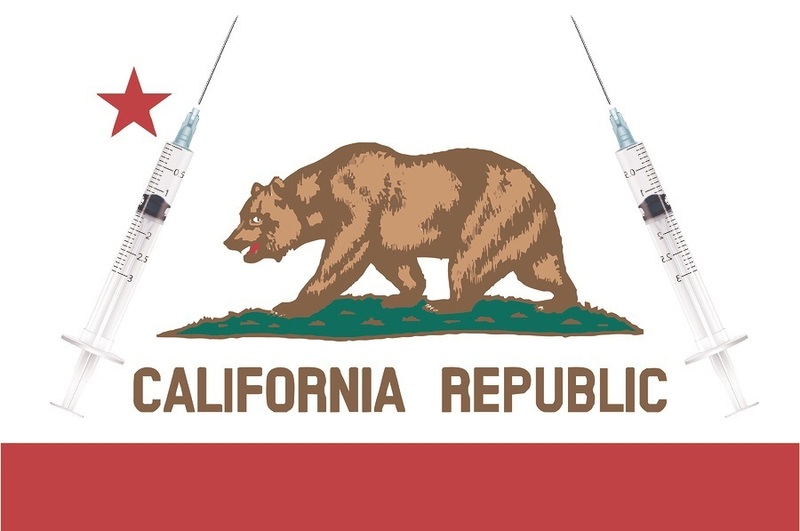 Concerned California activists allegedly reached Sanofi by phone twice recently and were told there is no shortage of the Fluzone vaccine that complies completely with California's AB 2943. So why the rush to use flu vaccines with high levels of thimerosal? The crony-corrupt California legislature, and Jerry Brownshirt, the CA Governor, are acting contrary to constitutional law and international humanitarian law. It is an "unconstitutional condition" to tell parents in CA that their child's state constitutional right to a free public education is conditioned on the parent surrendering their right of Informed Consent. That's exactly what the Nuremberg Code was all about... Read more here: http://drrimatruthreports.com/a-brief-for-informed-consent/ . Forced vaccination is a violation of basic human rights. The Supreme Court says you waive your right of Informed Consent unless you assert it. Californians need to assert their humanitarian right against the State and its "Dear Leader" Gov Jerry Brownshirt. If this is true it can have only one meaning. They are out to kill you in many different ways. Culturally, physically, economically and spiritually. Good article, thanks! One error in this article which I hope you will quickly correct: Federal law protects vaccine manufacturers from LIABILITY, not libel.